Last year, Asus Zenfone Go debuted in India, and today, its 4G LTE-equipped variant has been made official in the country for a price of Rs. 7,999. The smartphone is already up for sale on Amazon and will shortly go live on Snapdeal too. As expected, this variant looks identical to the non-LTE variant, however, Asus has made a few tweaks in terms of the chipset, storage, front-facing camera, and battery. The Asus Zenfone Go 5.0 LTE (T500) is backed by a 2,500 mAh whereas its 3G-variant comes equipped with a 2,070mAh battery. In the imaging department too, the LTE variant comes with a better selfie camera of 5-megapixel instead of a 2-megapixel front camera on the 3G variant. It comes powered by a 1.2 GHz quad-core Qualcomm Snapdragon 410 processor (MSM8916) coupled with 2GB of RAM. As for the rest of the specifications, the phone features a 5-inch display with a resolution of 1280 x 720 pixels and runs Android 4.4 KitKat with Asus’s in-house ZenUI on top. It has 16GB of internal storage onboard, which can be further expanded up to 32GB via microSD card. 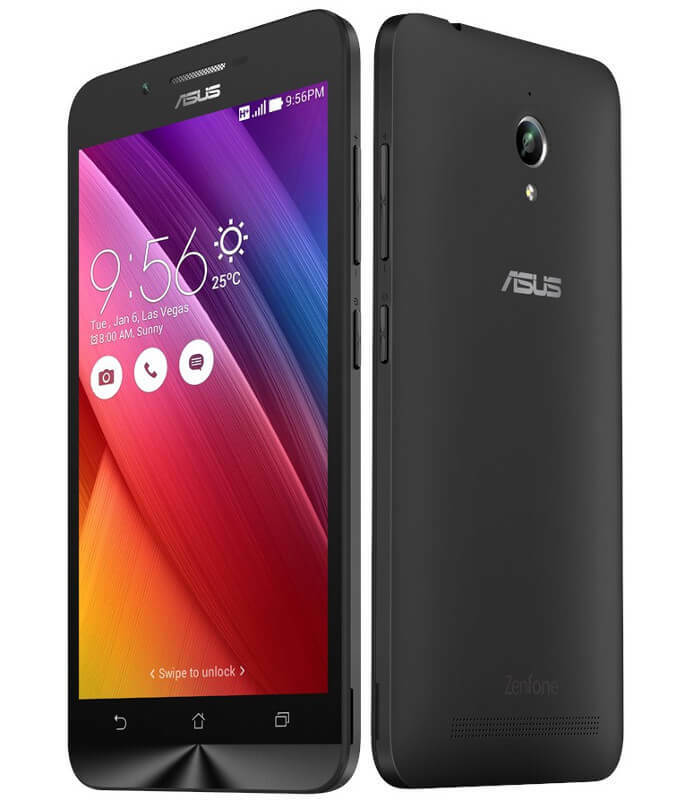 The Asus Zenfone Go features an 8-megapixel primary camera with LED flash, along with a 5-megapixel front-facing camera. The phone supports connectivity features such as dual-SIM, 4G LTE, 3G, Wi-Fi, Bluetooth 4.0, and GPS. I think it should have been Android N.
Android M have been launched long ego – in last October.